AMY SWEENEY/Staff photo. 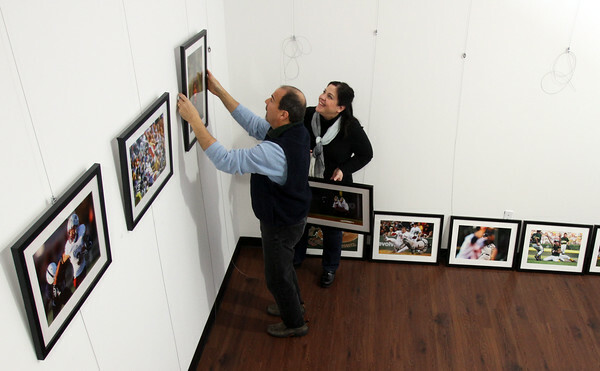 Jodi Feil, president & co-founder of Theia Studios in North Andover helps Sports Illustrated photographer Damian Strohmeyer hang his photos, which will be exhibited at Theia Studios in North Andover. The opening of the exhibit, "A Lifetime of Sports Photography, is March 15 from 3 p.m.- 5 p.m. Theia Studios is located at 47 High Street in North Andover.